I can’t believe it’s already October, where did September go? October is my favorite month, I love the changing leaves, the moderate temperatures and all the fun harvest activities. I am not ready for snow but I am ready to be done with the 80+ degree days. On Saturday we enjoyed a beautiful trail run near Nederland Colorado. 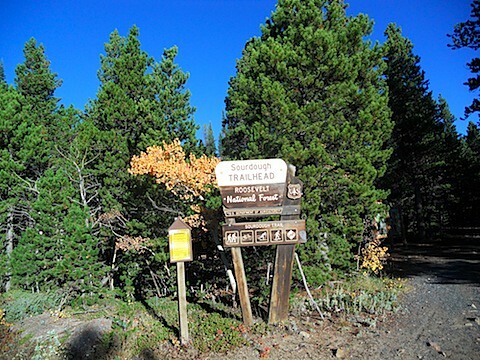 Sourdough trail was a little rocky but mostly runnable and very beautiful! The aspens were bright yellow, it was worth it just for the drive, the mountains are gorgeous right now, and it won’t be long until they are covered in white. I hope to come back to this trail in the winter to snow shoe! 1. Follow my training plan as best I can. I am TERRIBLE at this, I know you can’t control everything so following 100% of the time is not reasonable but I need to be better. What is the point of hiring a coach if I just do whatever I want anyway? Still working on getting better at this, I think this might be an ongoing fight. 2. PR in half and full marathons check for the half marathon back in the spring, I had planned on running a marathon before the ironman but had to skip it because I had some over use injuries acting up and it just wasn’t worth it so close to ironman, this one will have to roll over to 3013. I have already signed up for the Colorado Marathon, hoping to PR there! 3. 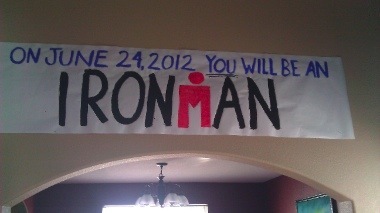 Complete the ironman (most important goal) DONE!!! 4. Complete an ultra marathon Sadly, not done =( I thought I would be able to shift focus after ironman and spend the summer running trails in the mountains. After a bad ankle injury in July I was derailed from reaching this goal at a early fall race. It is SUPER tempting to try to attempt this one in a non race self supported 31 miles. 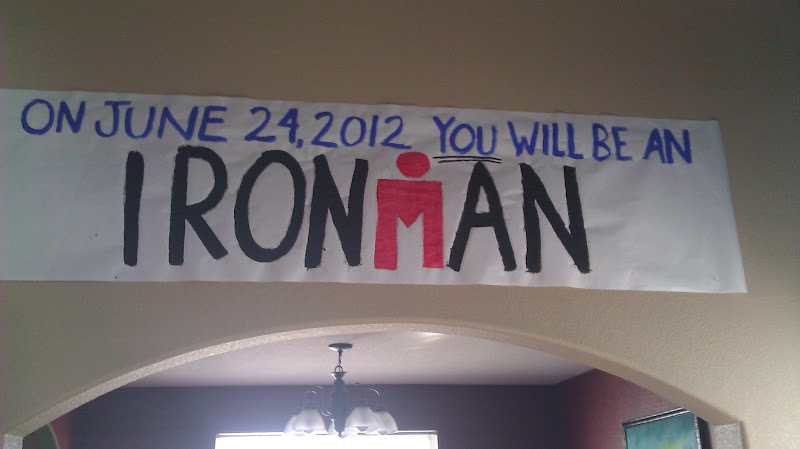 I have wanted to meet this goal for a long time and I knew that when I signed up for Ironman Lake Tahoe that I would be giving up an ultra marathon in 2013 so I could focus on Ironman, road running and avoiding injury. So this may happen not at a race (since there aren’t any in December) I will have to try to talk my husband into helping me accomplish this one. 5. Get to my training weight by April (10-12 lbs lighter than I am now) and racing weight by June. I was closer in the spring, but I am still working on getting there, I am hoping to be solidly at “training weight” by the end of the year. 6. Be better about blogging (i.e. more consistent, better pictures, etc.) This is a repeat from last year but I want to continue to improve. This is a COMPLETE fail, must do better. 7. Run 1,000+ miles and ride 3,000+ miles I think I am on track for this, but I am not great at tracking all the time. 9. Stay injury free, this will be most important in helping me reach all other goals Hmmmm, I did get injured but it wasn’t as bad as the last two years so that is progress. I am trying to get better about recovery. So it’s a mixed bag but I am happy about the progress so far, now I jut need to talk my husband into a gorilla ultra-marathon late in December…what do you think hon?? You have accomplished some great things, so don’t beat yourself up. The year isn’t over yet!